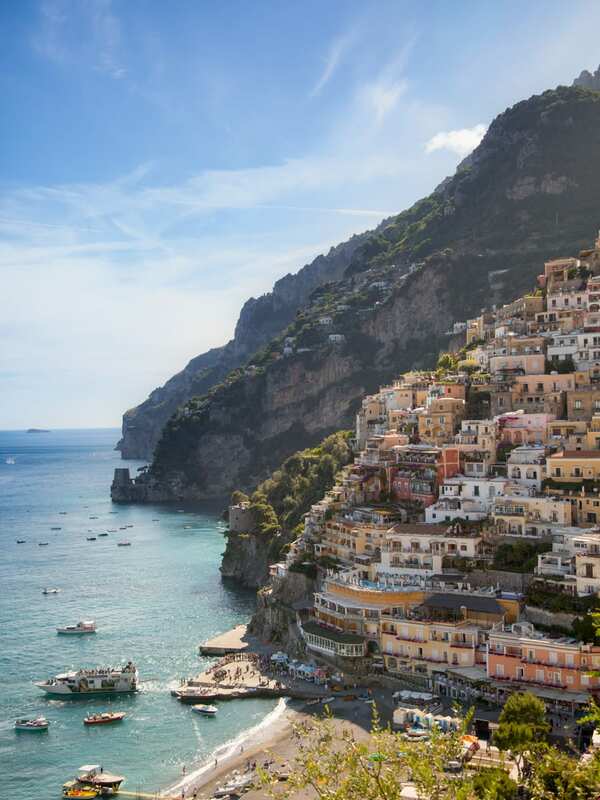 Positano is on the top of everyones list when they talk about the Amalfi Coast and it didn’t disappoint! It’s one of the most picturesque places I’ve ever been and the food was out of this world. Hotels were chic, the nightlight was awesome and there’s not a whole lot to do during the day besides play in the water, lay on the beach, eat great food and drink some wine! 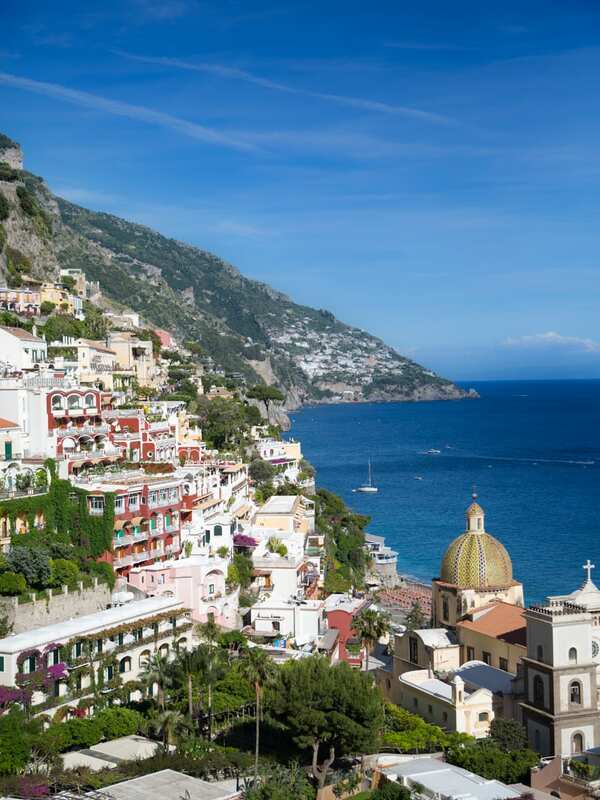 We did 2 solid days in Positano before heading further down the Amalfi Coast and it was perfect! 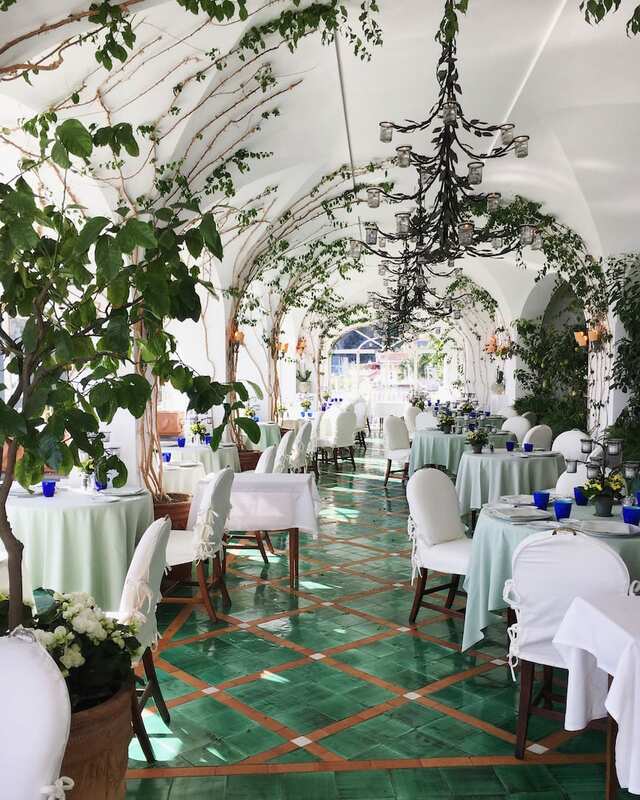 If you’re up for a splurge on a hotel Le Sirenuse is the best in town!! 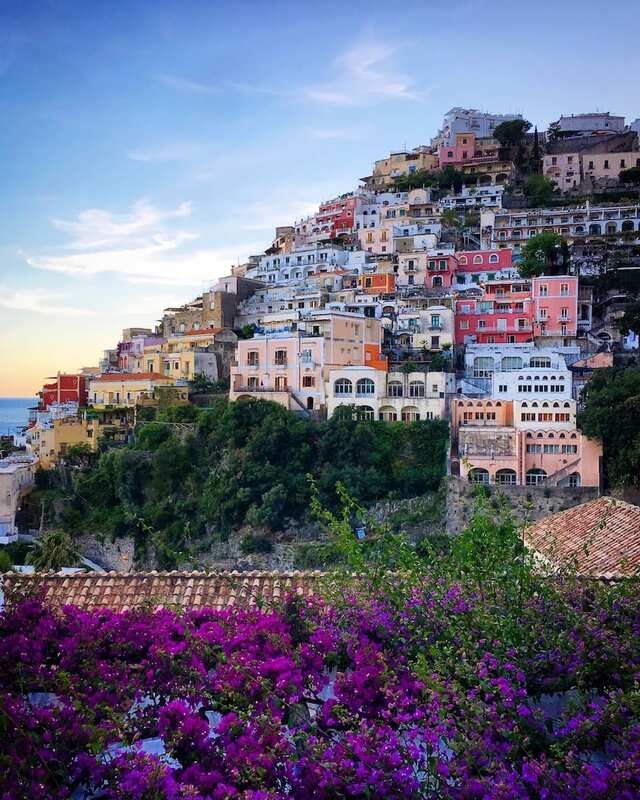 Wander around Positano – it’s a city built into a hill so there are a LOT of stairs! 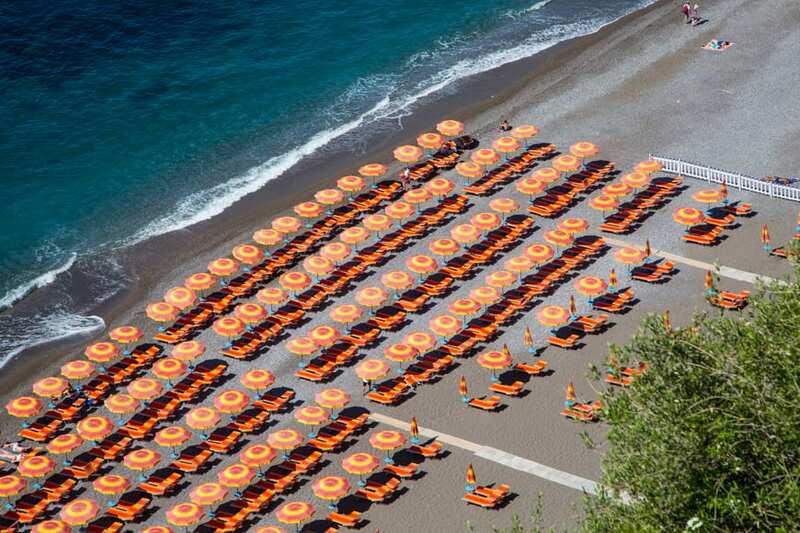 They all eventually lead to the beach so wander around, do some shopping and slowly meander your way towards the water. Lunch at Buca de Baco. 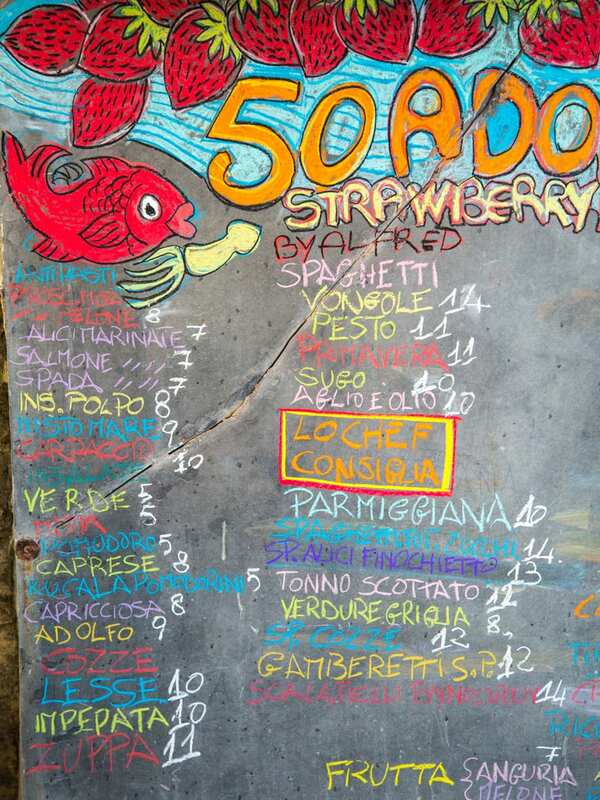 It’s right on the water and it’s known for the most epic Arancini in town. That and a spritz and you can’t go wrong! Hike up a few sets of stairs, change, and then get ready to head out! Franco’s is attached to the hotel and it’s perfect for for happy hour! 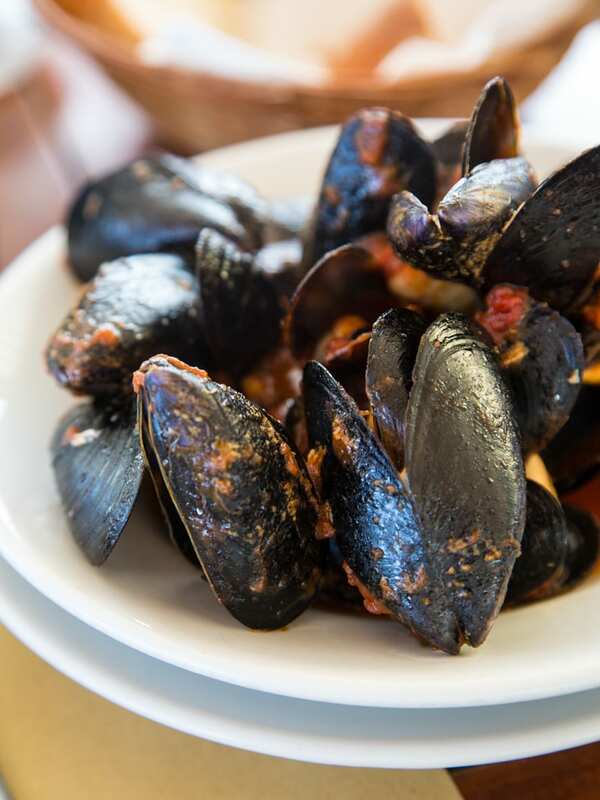 Wander up to Bar Bruno for dinner and get ready for quite the experience! It was one of the best meals of the entire trip! Breakfast Casa e Bottega – the cutest little gem on the street! 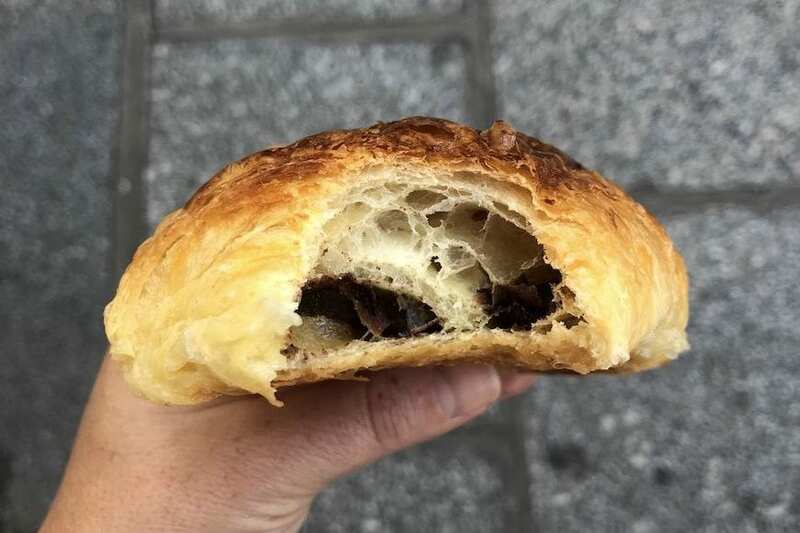 You might have noticed that I haven’t listed breakfast places at all, mostly because we had breakfast at our hotel each morning, but also because we were still full from dinner the night before! But we made an exception for Casa e Bottega because it was THAT good! 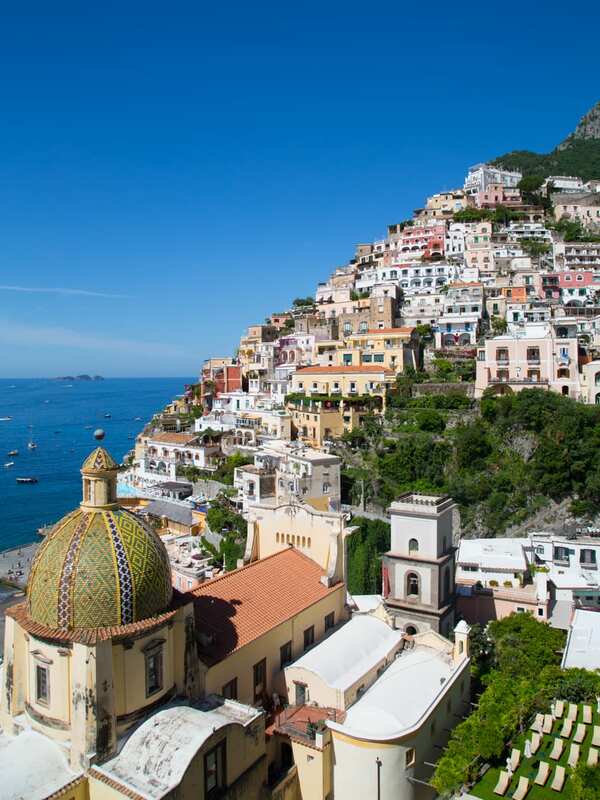 Wander around any parts of Positano you haven’t yet covered! 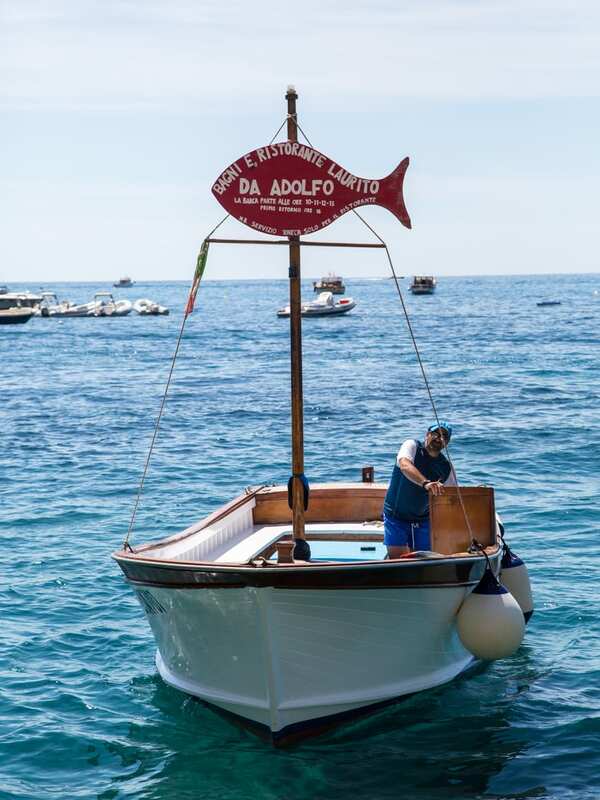 Grab the earlier boat to Da Adolfo (11am – and be SURE you have reservations for the beach club and lunch!) Da Adolfo is about 15 minutes outside the city by boat and it’s a beach club where you can rent lounge chairs and lay in the sun for a few hours before sitting down for an incredibly fun lunch. Their house sangria is white wine with peaches and it’s the best. We ordered just about everything on the menu and it was one of my favorite meals. 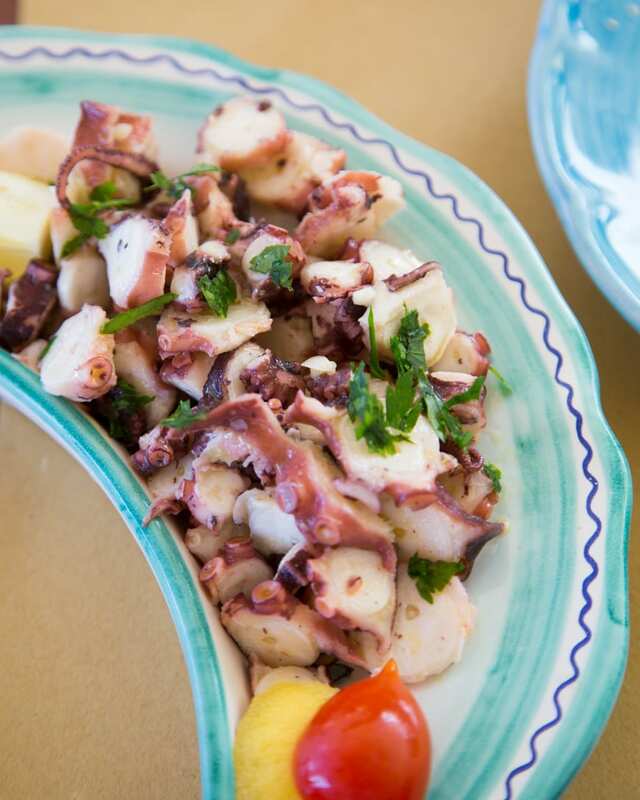 Mozzarella on lemon leaves, grilled mussels with a sweet tomato sauce, grilled octopus, arugula pesto pasta, the list goes on and on. It’s quite the scene so set up shop and be prepared to stay a while! We ended up taking the boat back into town around 4 and then needed a nap before dinner! We were so full from Da Adolfo that we just split a pasta and a few appetizers at Restaurant Max! 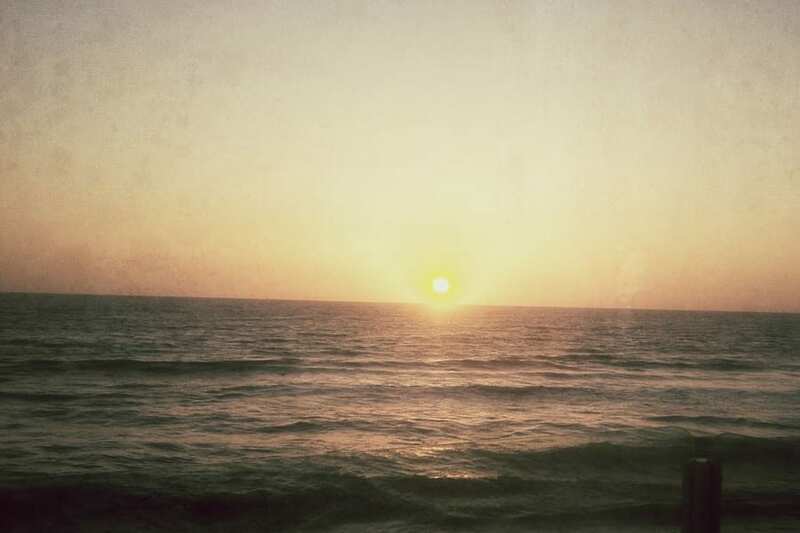 Perfect way to end our stay in Posi! Every single image looks like it could be a poster or postcard!! So beautiful. Oh wow, it looks amazing! And the kind of place where you’d get very fit very fast. Totally necessary with all that amazing food. I have wanted to go there ever since I saw it in a movie. So beautiful. Absolutely gorgeous photography! 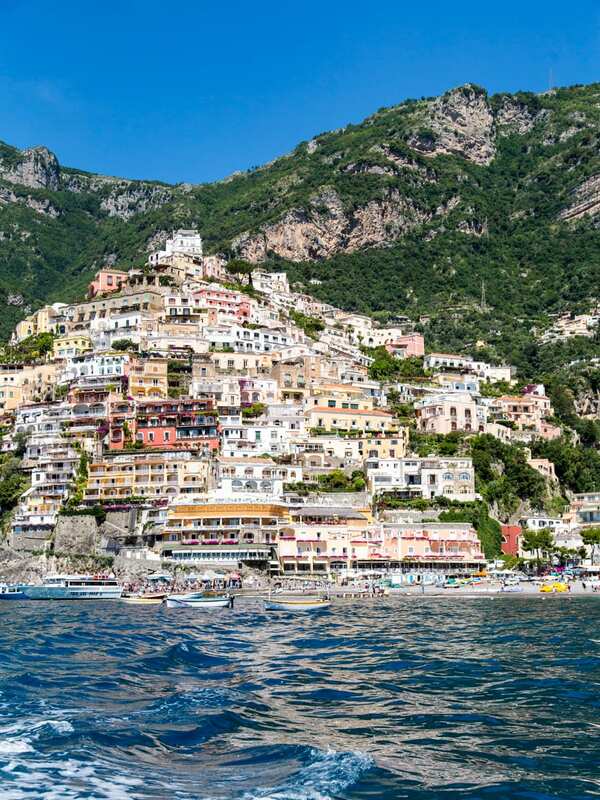 We went there a few years ago and your postcard to Positano makes me want to go back. So glad it was such a fun trip! At daAdolfos, pretty sure it’s mozzarella on lemon leaves, not grape leaves. Either way, we love that place too. Hey! 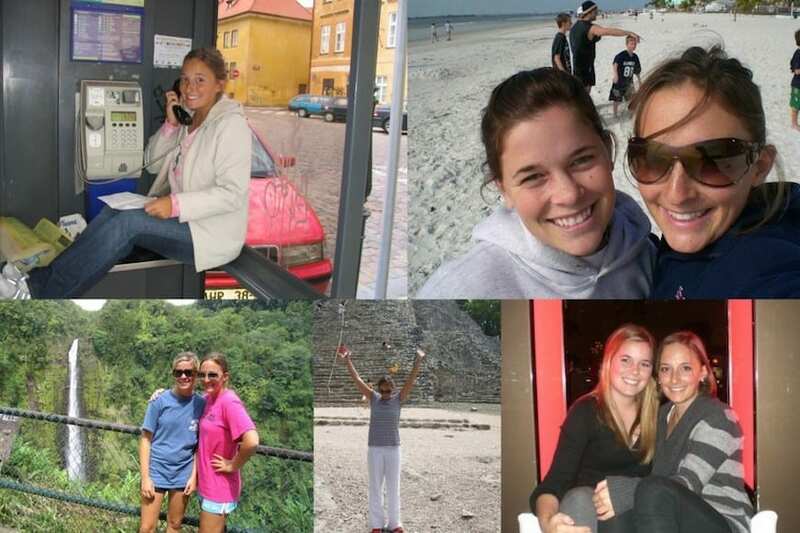 So I am obsessed with your guides and I am super excited to go to italy! 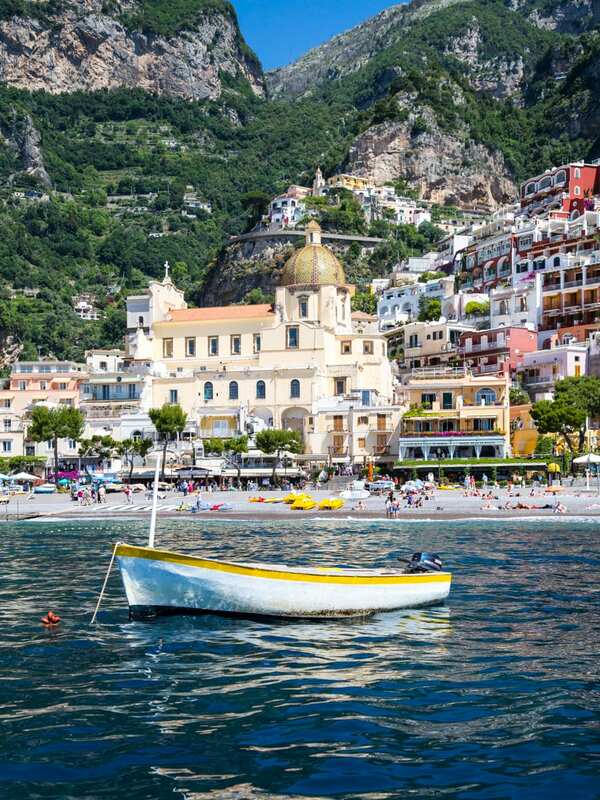 I am doing Rome for 3 nights and Amalfi coast for 2 nights. 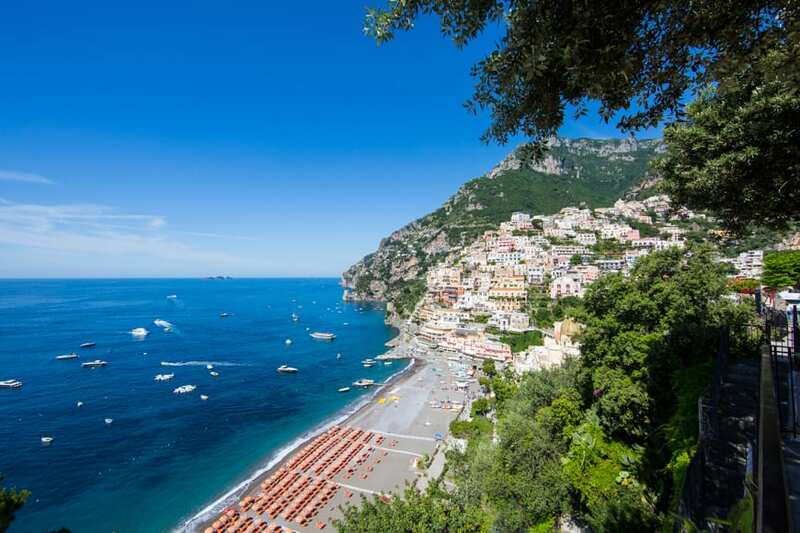 I am having a lot of trouble debating where I should stay/do for Amalfi coast..do you have any suggestions? 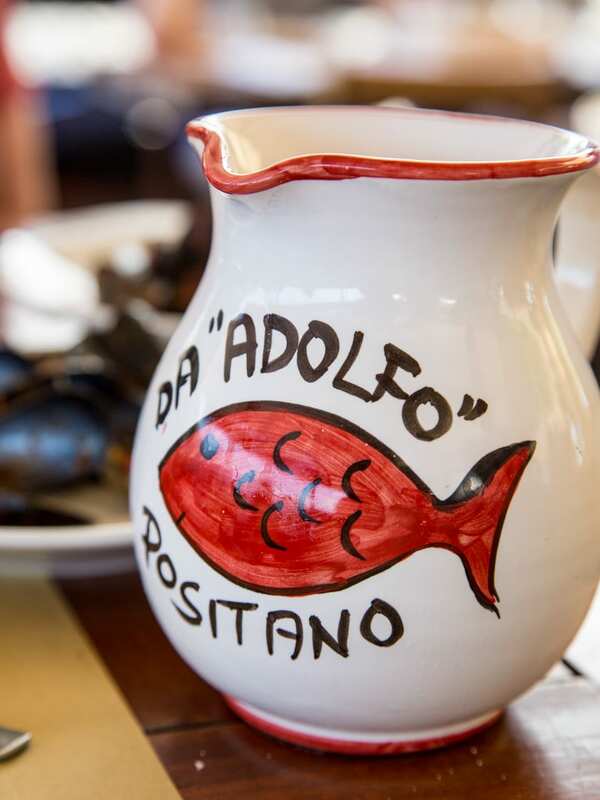 I know you loved Ravello but Da Adolfo seems right up my ally and I’m leaning more to Postiano for the 2 nights? What is your opinion? 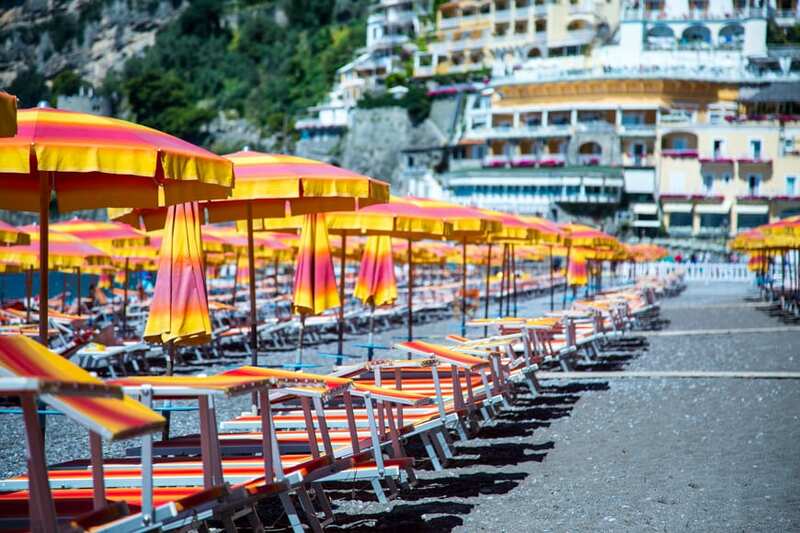 Positano is more of a party. Ravello is more chill/romantic. 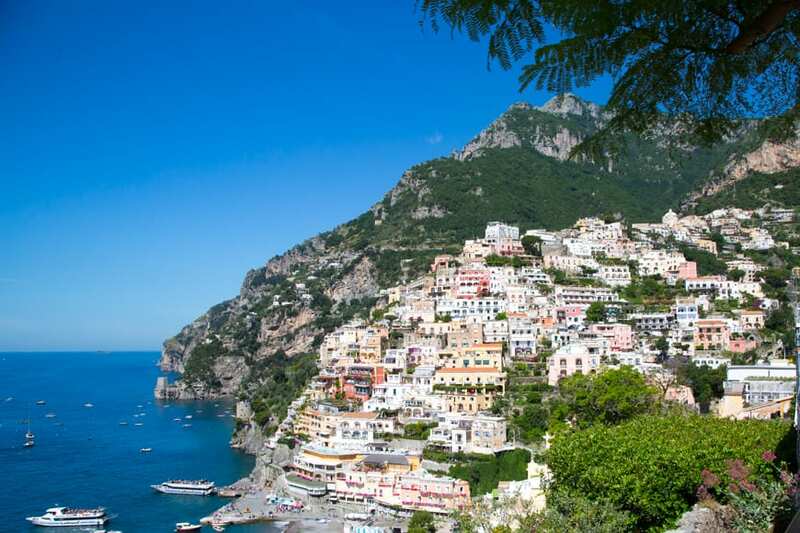 You could easily stay in Ravello and do a day trip to Positano or vis versa!! You really can’t go wrong! !